Dr. Fassati is a graduate in Medicine from the University of Milan, Italy, and is a board-certified neurologist. He obtained a PhD from UMDS Guyʼs Hospital, London, and was awarded a Wellcome Trust Prize International Fellowship to work at Columbia University, New York, where he specialised in virology. He returned to the UK and was awarded a Wellcome Trust University Award at University College London (UCL). 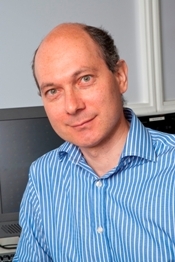 He is now Reader in Cellular and Molecular Virology and the Director of the Wohl Virion Centre at UCL. His main interests are Retroviruses and transmissible cancers. Dr. Fassati is an Associate Editor of the journal Retrovirology and a faculty member of Faculty1000 Medicine. The following is the transcript of a seminar paper given by Dr. Ariberto Fassati at the Thomas More Institute on 12 October 2011. Two events tend to occur more or less regularly throughout history: wars and epidemics. Sometimes they occur separately and sometimes together. Both have caused and indeed continue to cause, devastating damage in terms of loss of life, physical and psychological suffering, famine, mass emigration and overall impoverishment of the affected populations. Although numbers do not capture the overall damage and loss caused by wars and epidemics, they are often useful to put things into perspective. Considering only the lower estimates, World War II resulted in forty million deaths over five years, World War I in fifteen million deaths over four years. The bubonic plague epidemic in medieval Europe, the so-called ‘Black Death’ that raged from 1338 to 1351, killed an estimated one hundred million people, or one-third of the population over thirteen years, and one hundred million is the death-toll estimate for the so called ‘Plague of Justinian’ that raged in the years 541-542 in Byzantium. More recently, the ‘Spanish Flu’ epidemic of 1918 killed an estimated minimum of twenty million people in one year and the AIDS epidemic has killed two million people so far, mostly in the poorest regions of the world. If we look at the origins of many epidemics, we shall see that often the combination of natural events and specific human activities is at the root of the problem, just as in the case of natural disasters whereby the damage caused by a natural event such as an earthquake or a flood is amplified in densely populated areas or by the poor quality of the buildings in a city. The 1918 Spanish Flu epidemic was caused by a new strain of influenza virus, which originated in wild birds and recombined in infected pigs before jumping into humans. Faster travel by train and migration of military personnel throughout Europe at the end of World War I exacerbated the spread of the flu. The Black Death plague was probably carried to Europe by rats infesting ships from China and trade caravans traveling along the silk route. The AIDS epidemic was caused by a jump of non-human primate viruses to humans who were hunting primates for their meat. However, diffusion of the Human Immunodeficiency Virus (HIV – the causative agent of AIDS) in Central and Eastern Africa did not happen before the mid-1950s, following urbanisation and increased population densities in larger cities. Further spread of the AIDS epidemic might have happened during the polio vaccination campaign during the late 1950s and early 1960s mainly due to the re-use of non-sterile syringes and needles. As in the cases of other natural disasters, until very recently we had little understanding of how epidemics might emerge. In fact we had no idea about what might cause them. Spontaneous generation of deadly agents from dirt, unclean waters, rotting animal or human corpses, or even deadly air called miasma, was considered the main culprit until Louis Pasteur unequivocally demonstrated in the years between 1866 and 1880 the germ theory of disease, whereby a micro-organism growing in the body of the sick person is the real cause of the infectious disease, a micro-organism which can be transmitted to an uninfected person and propagate. This huge scientific breakthrough completely changed our perception of epidemics and led to very important advances in the prevention and treatment of infectious diseases. Before long, the bubonic plague was found to have a clear etiological agent: the bacterium yersinia pestis. Tuberculosis (TB) was found to be caused by mycobacterium tuberculosis; leprosy by mycobacterium leprae, typhoid fever by salmonella typhi. It took somewhat longer to identify viral agents of infectious diseases because they were so small and could not be detected by light microscopy. However, in 1898 the Dutch microbiologist Martinus Beijerinck detected the existence of a contagium vivum fluidum that was capable of infecting the leaves of tobacco plants but was clearly much smaller than bacteria. This led to the concept of viruses, which were later directly observed by electron microscopy. In the age of high throughput DNA sequencing, our ability to predict the emergence of an epidemic from a known micro-organism and to monitor its evolution is greatly increased. We are also able to identify new virus strains much faster and to decode their genome with accuracy. An example is the recent ‘Swine Flu’ epidemic. The new viral strain was rapidly identified and its genome sequenced, which proved very helpful in monitoring the epidemic and the evolution of the virus. Yet it also became clear that the virus spread very rapidly, from a localised epidemic in Mexico City to a pandemic within a few months. Today’s world is much interconnected and we were lucky that the new strain of flu virus was not more deadly! It is also important to note that despite these advanced tools, we are still very much at the mercy of the natural elements, so to speak, and we cannot really tell if and when a new major epidemic from a yet unknown pathogen will come. This leads me to another point: recent high throughput DNA sequencing of sea water and of our own gut flora showed that we live surrounded by micro-organisms (bacteria and viruses), so many and so diverse that it is almost overwhelming. In 2007 Craig Venter surveyed bacteria species present in seawater collected across a several-thousand km transect from the North Atlantic through the Panama Canal and ending in the South Pacific. Water was collected and filtered to retain small micro-organisms. The DNA of these micro-organisms was sequenced and partly assembled to examine the genome. When the results of the study were published, the scientific community was astonished by the sheer number of new bacterial and viral species identified and by the variation within each new species. A similar variation exists for the human gut microbial flora and we are just beginning to appreciate the huge number of viral species interacting with micro-organisms in the gut. These micro-organisms are not here to kill humans, of course! Rather they form part of a hugely complex and dynamic ecosystem wherein checks and balances are necessary and parasitic and opportunistic forms of life are critical to sustain directly or indirectly more evolved organisms. As it happens, some of these micro-organisms mutate or adapt to propagate better, thus generating new variants and then new species, which may result in them becoming pathogenic (capable of causing disease). Therefore, chance and evolution, which are intrinsic to the complex ecosystem in which we live, play a significant role in the origin of epidemics. We should never overlook this fact. If, then, epidemics are mostly natural disasters beyond our direct control, what do they have to do with ‘Conscience, Values and Belief in Public Life’, the title of this seminar series? I shall argue that our values and beliefs had, and still have, a profound influence on the response to epidemics. I shall argue that individuals suffering from infection during an epidemic often suffer also from reduced dignity and discrimination, and that this in turn may lead to excessive coercion, unjust treatment and a greater dissemination of the epidemic itself. I shall also argue that such attitudes towards infected people derive from our old and false understanding of how epidemics originate. On the other hand, respect for human dignity and the subsequent moral implications should be an integral part of any public health interventions to combat epidemics. Let us examine the case for reduced dignity in the infected person first. As discussed earlier, until the late nineteenth century spontaneous generation of deadly agents was thought to be the main cause of epidemics. Generation was possible from, for example, dirt, polluted water, animal and human corpses. The theory of miasma postulated that diseases originated from contaminated air and therefore it was the sharing of the same air in a private house or public place that was the main factor in the spreading of an epidemic. Furthermore, malnutrition, overcrowding and carelessness were, quite rightly, considered important risk factors. Poverty was much more widespread than today, at least in Western Europe, and people of little or no means lived in poor hygienic conditions with plenty of dirt and polluted water. Sewage systems were non-existent and sanitation unknown. The staircases and passages of poor people’s dwellings were often so narrow that extracting the bodies of dead people was difficult. Plague was one of the most serious and frequent causes of epidemics. Indeed it has recently been confirmed by DNA analysis that two different strains of y. pestis reached Western Europe independently from China and caused the so-called Black Death epidemic. Plague is, in fact, a zoonosis, that is a disease transmitted from animals to humans. Y. pestis, transmitted by rat fleas, enters the skin and travels to the local lymph nodes making them swell (which explains the term ‘bubo’ or ‘bubonic plague’). Swollen lymph nodes can become hemorrhagic and necrotic. The bacteria then spread into the blood stream causing meningitis, septicemia and death. The bubonic plague is lethal in 75% of cases. The pneumonic or pulmonary clinical variant causes infection mainly of the lungs, causing severe pneumonia. In this case the infection can be transmitted from human to human through droplets by coughing. Approximately 95% of infected people die five to seven days after the initial infection in the absence of treatment. A third clinical variant, so-called septicemic plague, occurs when rat fleas bringing a particularly high concentration of bacteria manage to inject themselves directly into the bloodstream upon biting. A rash develops within hours and death follows invariably within one to three days. Hence plague is an acute, severe disease with a very high mortality rate. In Europe during medieval and even early-modern times it was taken for granted that epidemics such as plague were born and disseminated mainly among the poor on the basis of the theory of self-generation or miasma. The ideas of contemporary society towards epidemics and the poor are analysed in an excellent essay by Brian Pullan, Professor of Modern History at the University of Manchester entitled: ‘Plague and perceptions of the poor in early modern Italy’ (in: Epidemics and Ideas, Ranger and Slack eds., 1992, Cambridge University Press). Because the poor were incubators and spreaders of the disease they had to be removed from public places so as not to corrupt society. This attitude was well established in medieval Europe and later on in the fifteenth, sixteenth and seventeenth centuries during the plague epidemics. For example during the plague of 1630 in Venice several decrees of the city Senate ordered that beggars and the poor had to be forcibly removed from some quarters as an act of cleansing and assisted with acts of charity, in part also as an act of expiation to placate God’s wrath. Indeed often epidemics were considered God’s punishment, a notion that further contributed to reducing the dignity of infected people. It was the poor’s thoughtlessness, self-delusion and lack of discipline that attracted the divine penalty. Rather chillingly, the warden of the pest-house in Genoa during the plague of the 1650s, for example, suggested that the plague was the consequence of poor people’s fecundity and their inability to restrict marriages. It was therefore a necessary divine instrument to reduce excess population; obviously meaning the excessive population of less worthy members of society. Such notions were of course not limited to medieval and early-modern Italian society or to plague epidemics: the stigma associated with infectious diseases was widespread. Leprosy provides perhaps the most striking example. Data from the WHO show that ten to twelve million people are today affected by the disease, mainly in the tropical and subtropical belt. It is now recognised that leprosy is modestly contagious and might also be a zoonosis. Slow progression is a feature of leprosy. Initially the infected person may experience patches of numbness and anesthesia throughout the body due to the damage to peripheral nerves and skin. As the bacteria spread to other organs, more ‘nodules’ form, often necrotic at the centre, which slowly adsorb and consume surrounding tissue, including bone and cartilage. Deformities become apparent, including flattening of the nose, swelling of the mouth and gums, shortening of fingers. Progressive damage to peripheral nerves causes loss of sensation at the extremities, which are then subject to continuous trauma and might eventually be lost. Once the bacteria reach the lungs, a progressive respiratory insufficiency ensues, which ultimately leads to death. Sometimes death might come after decades of pain and suffering. In medieval times in Europe leprosy was identified with dirt, filth and poverty. Individuals affected by leprosy were considered ‘unclean’, possibly because of the hideous deformities it caused, and had to live in isolation, often carrying bells or other means to signal their presence and allow people to move away upon their arrival. Lepers were relegated from society by acts symbolising the leper’s death such as pouring of dirt obtained from a cemetery onto the head of the leper in public. In ancient India, contact with lepers was prohibited by law and those who married into their families were severely punished. Now whosoever shall be defiled with the leprosy, and is separated by the judgement of the priest, shall have his clothes hanging loose, his head bare, his mouth covered with a cloth, and he shall cry out that he is defiled and unclean. All the time that he is a leper and unclean, he shall dwell alone without the camp. Sinfulness, low status and lower dignity were associated with leprosy around the world, and sometimes still are. In Japan lepers were treated as sub-humans and had to live in special communities until recently, and the last leper colony in Romania was disbanded only in 1991. Rejection and stigmatisation of people affected by infectious diseases is very much present today. The HIV/AIDS epidemic provides a good example. AIDS is caused by the Human Immunodeficiency Virus (HIV), which is transmitted mainly sexually and also by exchange of contaminated needles or blood transfusion (before serological screening of blood donors became routine). HIV infects and slowly destroys cells of the immune system, the very cells that help responding to pathogens in our body. The disease has a slow course and can remain in a clinically latent stage for many years. However when the level of immune cells drops below a certain threshold, opportunistic infections take over, causing mainly pneumonia, meningitis, abscesses, blindness, and skin cancer. At the beginning of the epidemic in the early 1980s, available epidemiological data suggested that AIDS was a disease of homosexual men and drug users, and again many voices were raised that it was God’s punishment for immoral behaviour. The limited epidemiological data, our incomplete understanding of the mode of transmission and ignorance of the responsible agent resulted in more or less subtle discriminatory acts. Paradoxically, one of the victims of discrimination was Dr. Michael Gottlieb who first described AIDS. Despite his groundbreaking work and his fame, Gottlieb was refused tenure at UCLA. The UCLA Medical Centre presumably did not want to become a reference centre for AIDS in those years. At the other end of the spectrum, always very sensitive to the burden of discrimination and stigmatisation of the poor and sick, Mother Teresa of Calcutta opened her hospices to AIDS sufferers in the early days of the epidemic. A better understanding of HIV/AIDS meant that stigmatisation gradually faded in the US and Western Europe, although it remains alive in many parts of the world. UNAIDS reported in 2006 that half the participants in a study in Eastern China believed that punishment was an appropriate response towards HIV+ people. More than half interviewed people were unwilling to befriend people living with HIV and 73% thought people with HIV should be isolated. In India, Indonesia and Thailand half of the interviewed HIV+ individuals experienced acts of discrimination and women suffered most. Similarly in Sub-Saharan Africa women often do not participate in prevention programmes, or drop out of such programmes, for fear of discrimination, violence and family breakdown once their HIV status becomes known. The impact of stigmatisation on children can also be devastating with loss of their parents’ affection and separation from siblings. The deep-rooted concept of self-generation or miasma as the main cause of epidemics and the belief that epidemics were generated and indeed propagated by the poor, mostly by their own fault, had important public health consequences, which are felt even today. Indeed infected people suffered even more in their dignity for their reduced status of being poor, and sick, and sinners, and being dependent on charity to survive. Punitive acts of coercion were therefore more easily justifiable. As soon as any man shall be found by his examiner, chirurgeon or searcher to be sick of the plague, he shall the same night be sequestered in the same house, and in case he be so sequestered, then, though he afterwards die not, the house wherein he sickened, should be shut up for a month, after the use of the due preservatives taken by the rest. Forasmuch as nothing is more complained of, than the multitude of rogues and wandring beggars, that swarm in every place about the City, being a great cause of the spreading of the infection, and will not be avoided, notwithstanding any order that have been given to the contrary: it is therefore now ordered, that such constables, and others, whom this matter may any way concern, take special care that no wandring begger be suffered in the streets of this city, in any fashion or manner, whatsoever, upon the penalty provided by the Law to be duely and severely executed upon them. Such were the magistrates’ orders described in Daniel Defoe’s ‘A Journal of the Plague year‘, published in 1722, which narrated the great London epidemic of 1665. Reading the Journal, a posthumous though rather truthful account of the events in London, it becomes apparent that whereas the Royal Court, the nobility and gentry, and almost anybody who had the chance left the city for fear of contagion, poor people left behind had to adhere to strict and punitive regulations, including being shut up for weeks in their own houses, which were locked up by wardens. Others were forcibly abducted to pest-houses, places where infected people were attended so well that they rarely ever got out except in a coffin. The hearing of the bells of an ambulance caused the utmost fear in poor people’s households for it was known that families would be forcibly separated, and that some members were to be taken to pest-houses from where they were never to return. Quarantines and cordons sanitaires were imposed whereby people from the countryside, for example, could not enter the city. Trespassers were punished severely, often with death. Such cordons sanitaires were rarely effective in preventing disease spread, particularly in the case of plague, yet they caused devastating economic consequences because they interrupted trade, upon which poor people living in the country depended for their survival. Hence, if plague did not kill them, famine did. In 1897 in the midst of the Bombay plague epidemic the Bombay Health Officer wrote in his Report on the Outbreak of the Bubonic Plague, ‘From the beginning the greatest attention was paid to the disinfection of houses and the segregation of the poor’. Although by the end of the nineteenth century it was known that bacteria caused the bubonic plague, suggestions that it might be transmitted in non-conventional ways were dismissed or ignored. There were observers who noted that immediate isolation of the sick did not prevent the progression of the epidemic and that bubonic plague was not infectious in the ordinary way. However, authorities supported the old theory that marginal groups and the poor were mainly responsible due to their living conditions, which favoured contagion and generation of reservoirs. British officials in India were extremely concerned by the potential consequences that the plague epidemic could cause to trade, threatened by an international embargo on Indian shipping. The plague had to be stopped at all costs and a military campaign ensued. There were stringent inspections along the railway lines, as well as house searches in villages and small cities. Infected individuals, often entire villages and even small towns were forcibly evacuated, people hospitalised under military guard, houses in cities were flooded and continuously sprayed with mercuric chloride solution. The harsh coercive measures caused great fear and hostility in the population. Yet such measures, mostly driven by old paradigms and prejudice rather than proper observation of the facts, were largely ineffective, even dangerous as one might have expected. Flooding of houses with mercuric chloride solutions made infested rats spread even faster, and forceful hospitalisation made people hide their sickness. Acts of extreme coercion are not confined to the nineteenth century and earlier. In Japan leprosy patients were forcibly secluded in closed communities (leprosaries) where male patients were sterilised and pregnant women were forced to have abortions. No contact with the external population was allowed and any breach of these rules carried very severe punishments. These draconian laws were introduced in 1953 and repealed only in 1996, many decades after the discovery of an effective treatment for leprosy and the well-accepted knowledge that leprosy is only moderately contagious. The Japanese Government had to compensate and publicly apologise to patients for their inhumane treatment. Not always is the response to epidemics the same, and there are cases at the other end of the spectrum. Epidemics were, and sometimes still are, kept secret for fear of disturbing business or for fear of the economic and social consequences the news of an epidemic might bring. For example, no official announcement or action was taken by the authorities in Hamburg during the cholera epidemic of 1832. The lack of response was mainly due to pressure from merchants, traders and manufacturers. There can be no doubt that the fact that the epidemic mostly concerned people who had no right to vote in the municipal assembly played a significant role. A similar approach of no-action was followed in Lübeck during the cholera epidemics of 1832, 1848, 1850, 1853 and 1856. The idea that poverty, malnutrition and lack of sanitation are the initial and only cause of epidemics has had a worrisome resurgence in recent history. Thabo Mbeki, President of South Africa from 1999 to 2008, denied that HIV caused AIDS and stated that in fact poverty and malnutrition were at the root of the epidemic. The South African Government banned the distribution of antiretroviral drugs in public hospitals, despite the availability of cheap drugs at the time. It stopped information campaigns and the counseling of pregnant women to prevent transmission of the virus to newborn babies. It reinforced the sense of isolation from society of people infected with HIV, for the equation ‘AIDS equals poverty equals lower dignity’ was endorsed at the highest level of government. It is estimated that such policies resulted in the deaths of at least 365,000 people and in a huge number of new infections. Despite the belief that poverty and malnutrition were the cause of AIDS, little was done to mitigate them. Such cases remind us that we need to be constantly vigilant about the risks of stigma, loss of dignity and unjust treatment suffered by infected individuals during epidemics. These risks are, at least in part, a consequence of our old conception of the origin of epidemics, which has forged our moral attitudes. Not dissimilar to our ancestors in medieval and early-modern times, we may sometimes think that certain people ‘deserved’ their fate for they were reckless, or sinners or greedy or simply ignorant. Yet putting greater value on the true dignity of every human person, even when stricken by the most hideous of infections, and encouraging a sense of the individual responsibility that is a natural consequence of such dignity have a crucial role to play in public health responses to epidemics. Examples of this notion are non-governmental organisations which work in Africa such as ‘Mothers to Mothers’, which I know through my profession. This organisation aims at preventing transmission of HIV from an infected and pregnant mother to the baby. Many women in Sub-Saharan Africa, once they become aware that they have HIV, disappear never to return to future consultations out of fear that their status might become known, for HIV brings stigma and exclusion and family breakdown. However ‘Mothers to Mothers’ organises separate consultations for pregnant women with special mentors. Mentors are former HIV+ women who overcame the fear of stigma, attended the clinic, and managed to give birth to uninfected children. Mentors provide support to pregnant women; they lead by example; they share responsibility and re-infuse into other women a sense of dignity and hope and courage. The Mentors, by encouraging individual responsibility and dignity, prevent the AIDS epidemic from spreading further. Indeed, having an effective treatment to combat a certain infectious disease is not enough if infected people cannot be reached; they go into hiding for fear of being discriminated against, or are unaware of the treatment itself. Equally important is to encourage responsibility, which derives from the recognition that each human being has the same dignity, irrespective of individual circumstances, so that the behaviour of infected individuals is shaped by correct information and has at its heart the necessary respect for other people. If we are to be successful in the fight against epidemics then scientific advancement must go hand in hand with the application of moral principles based on the value of human dignity and individual responsibility.